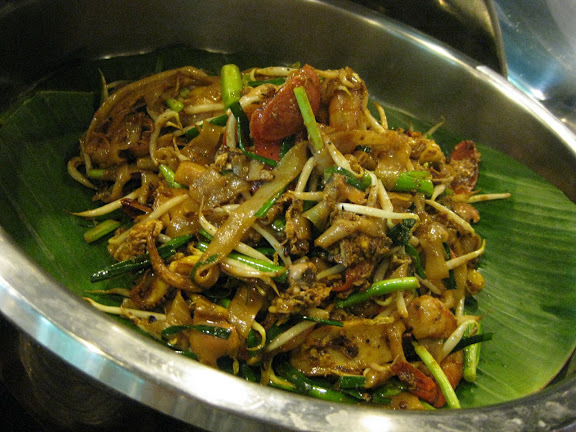 I've heard a lot about Penang Place from quite a few blogs, and the Penang Fried Kway Teow was the one thing that was receiving rave reviews from many of these foodies. 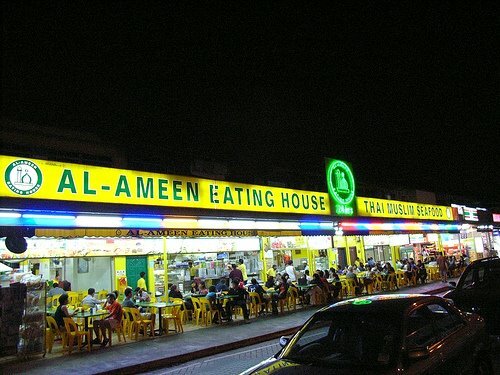 I also learnt that Penang Place doesn't serve pork nor lard, which was enough for me to bring the family here for dinner. 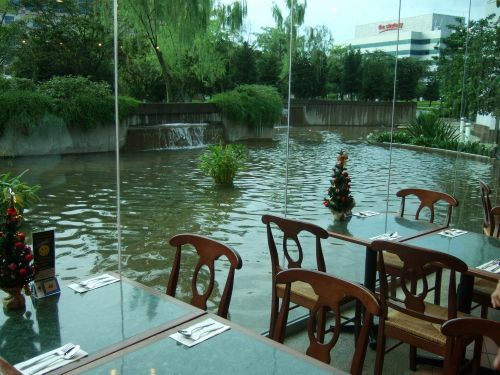 The interior decor of the place is very simple and unassuming, and if you like, you've got the view of a small pond outside, complete with a small waterfall heh. This place is normally quiet on Saturdays (or long weekends, since we were here on Boxing Day) because it's located in the middle of the International Business Park and if I have to add, almost in the middle of nowhere. It's quite a walk if you're coming from Jurong East MRT (my dad drove) so do take the shuttle bus if you're not too keen about burning calories before a heavy buffet. 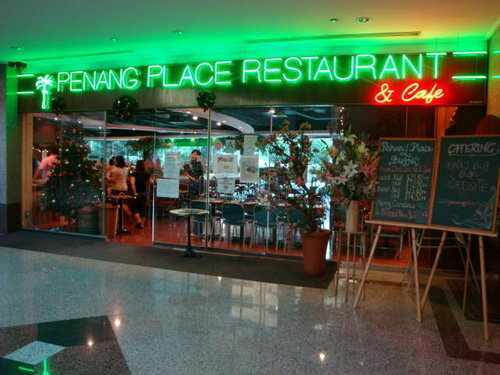 Instead of giving individual ratings, as a whole I think Penang Place deserves a fair score of 6.9. 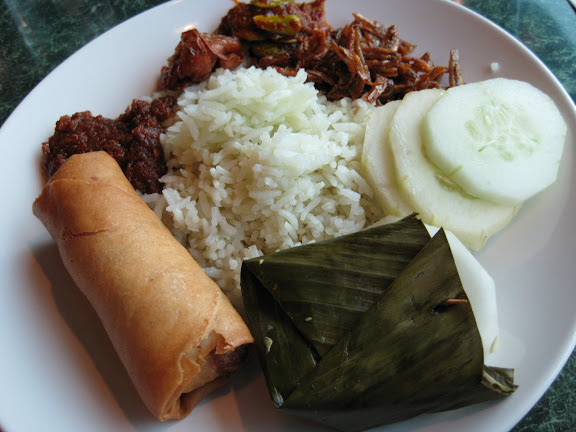 Their range is limited though, and you should like Malay-type cuisines to enjoy the food served. All of us do, though it might not be the case for everyone else. 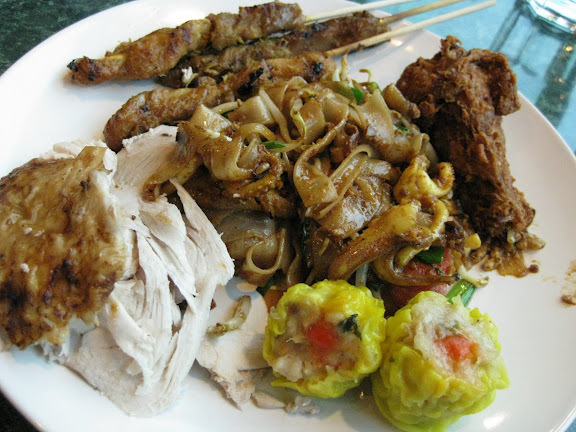 There's hits and misses here, with the Penang Fried Kway Teow and Chicken Curry faring very very well, while the desserts and Assam Laksa less so. To be honest, my parents would only give it a 5, given their preference for Carousel at Royal Plaza on Scotts. 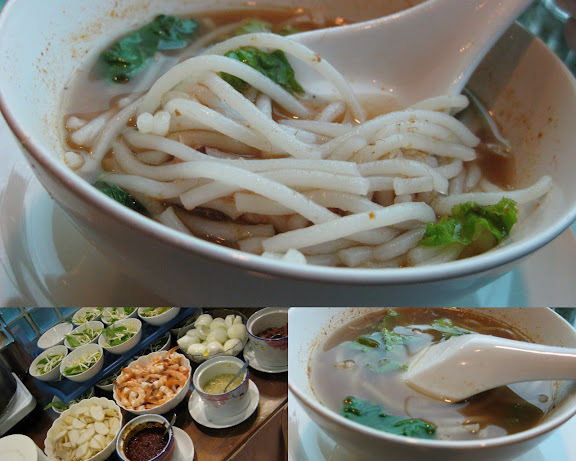 They agreed on the kway teow and curry, but felt the soup noodles, laksa and rojak was far below average. I suppose I left with a better aftertaste because I ate mostly the best the place has to offer. 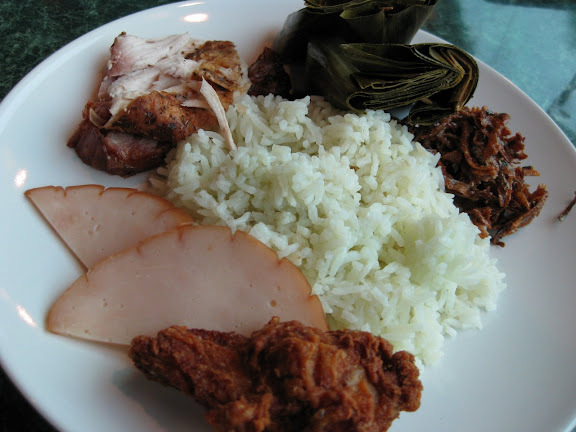 The nasi lemak was very fragrant and wasn't too moist or thick with coconut. 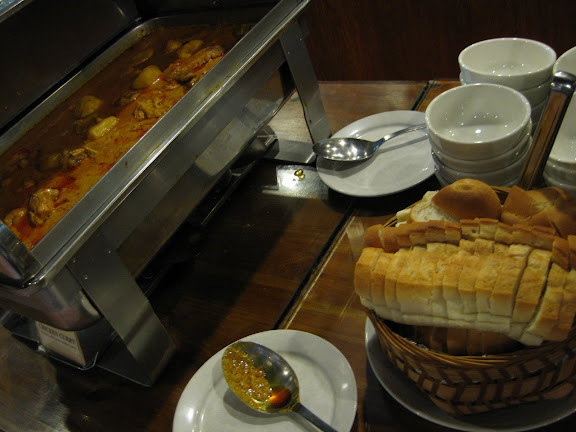 Just nice, and goes very well with the other different dishes served, like the curry, beef rendang and otah-otah. You don't see the rice in the picture above (it's in the pot on the right) but they do have pretty good sambal chilli and crunchy anchovies to accompany the rice. I liked this a lot, much because it was thick and spicy at the same time. Indeed, you can tell from the colour that it has some "kick" on tantalising your taste buds and bringing out some beads of perspiration. Good stuff. I think this is really something of an acquired taste. It's not the usual coconut-curry laksa but one with a more sour and clearer soup base, something that neither me nor Daphne liked very much. One spoon or two was all we managed haha. The winner for the night definitely. At first I was a bit concerned because I spotted the Chinese sausage in the noodles, but the waiters assured me it's chicken. Daphne's confirmation was good enough for me. 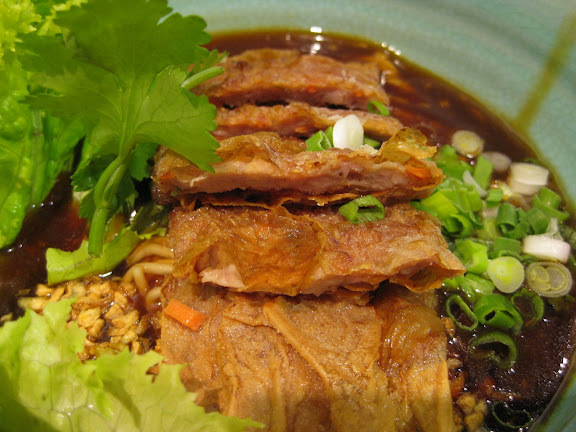 The noodles are certainly a hit with customers, and the restaurant particularly replenishes it bit by bit regularly for quality control purposes. 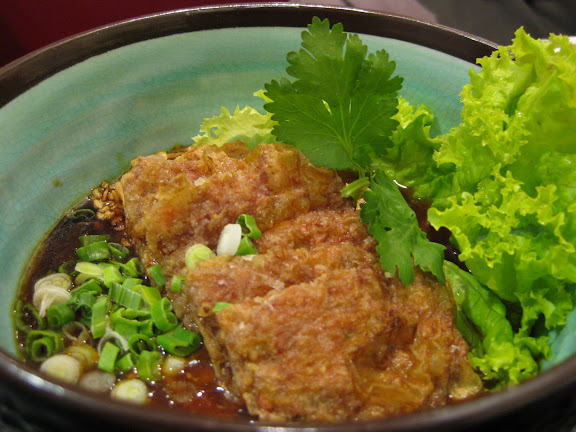 This is good because you won't be eating cold noodles and the freshness helps to retain the flavour and fragrance. My attempt at a more artistic shot of the delicious noodles. The restaurant was very generous with the seafood ingredients (prawns, squids and cockles), and overall the dish had the right amount of oil, moisture and texture. I ate a lot of this really, because it was so good. Even my dad, who has often lamented the lack of good tasting char kway teow ever since he converted, agreed that this was good stuff and said that he would return next time just for the noodles. 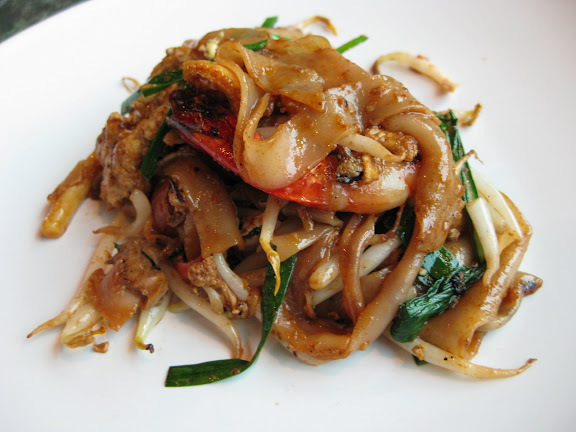 The noodles is sweet and spicy from the dark sweet sauce and chilli, with the beansprouts adding a little crunch to everything. I'm hungry for more as I'm typing this haha! 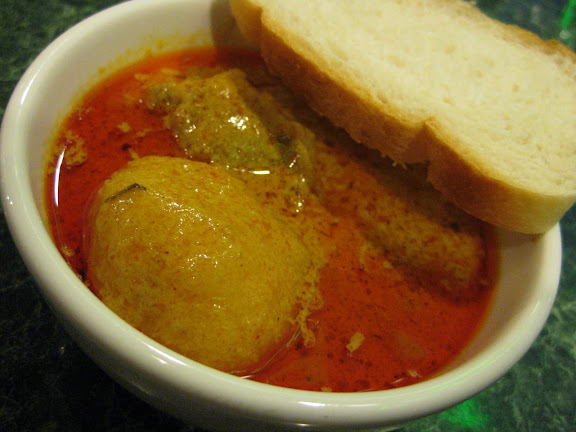 One of their special dishes because of the Christmas period. 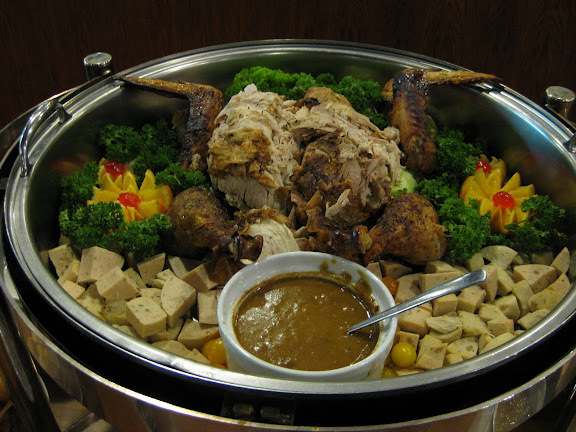 The turkey wasn't too tough, but you have to eat the skin (yes, a no-no for the health-conscious out there) to have a better taste of the spices and marinate. They don't call it nibbles, but it's finger-food really - spring rolls, chicken chunks and chicken bits wrapped in seaweed. 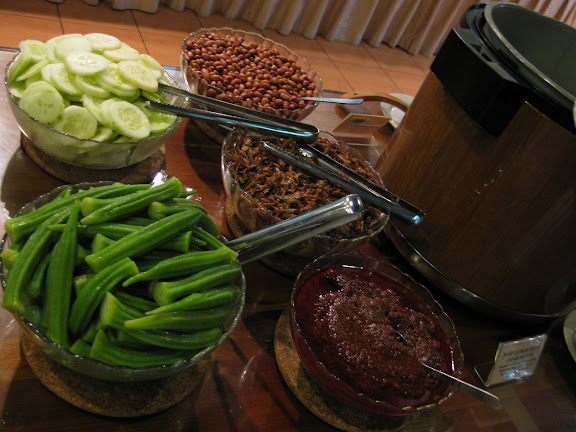 You can also see that they serve "achar", which is a spicy, sweet and sour Asian pickle. Just thought I should include some pictures of our plates haha. 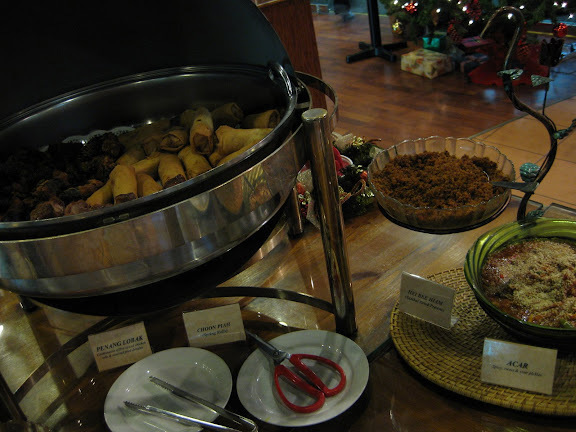 As you can see, there's also beef rendang (Malay-style beef in spicy gravy), "chap chye" (stir-fried mixed vegetables), fried chicken wings (yums! 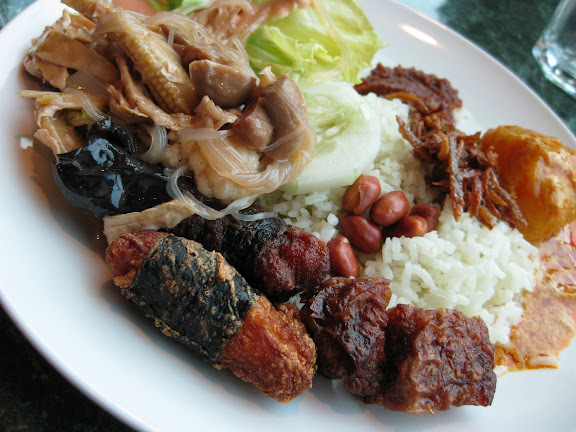 ), otah-otah (grilled or steamed fish paste in banana leaf, here it's steamed and has a closer resemblance to a soft fish cake), satay and "siew mai" (seafood dumpling). You can make your own "ice kachang" (flavoured ice-shavings) or "chendol" here, and I'm sure the children would love playing with the ice-shaving machine haha. 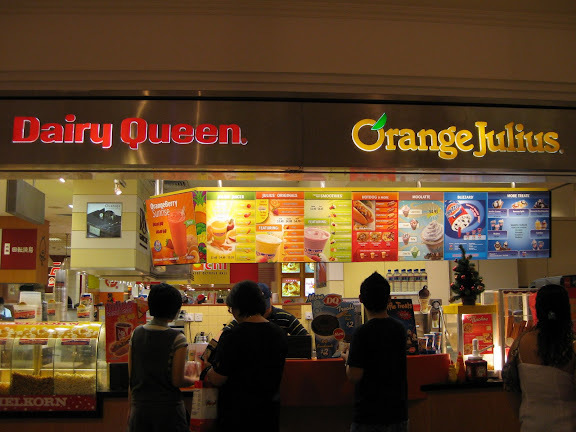 For the foreigners, these are two of the more popular and common desserts in Singapore and Malaysia, and I think it's a good way to wash down the usually spicy food served in these two countries. 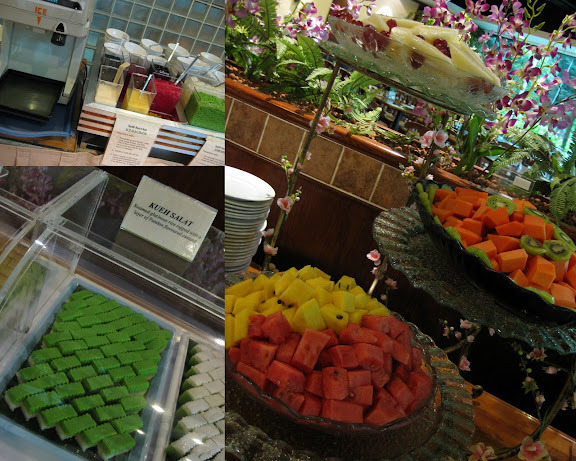 They also serve a few traditional Malay kuihs (bite-sized desserts). 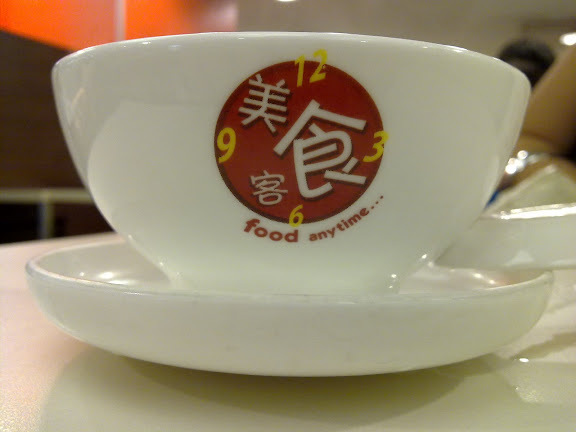 On taste, it's very ordinary, nothing to shout about. There's also fruits, which seems to be what most people turn to instead. Excellent. 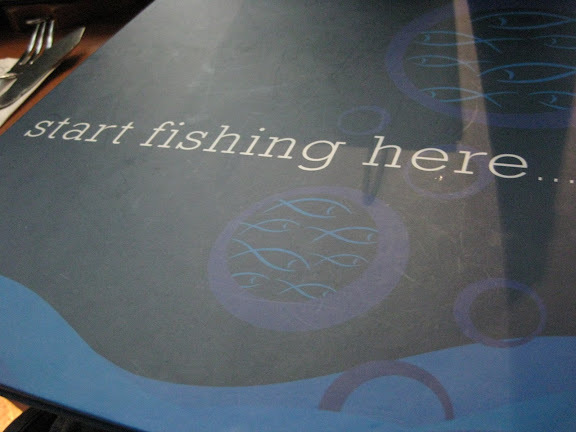 The waiters are very attentive, and they regularly replace our iced water jug as well as used plates. Polite and friendly too. We paid an extra $2 because it was the Christmas and NYE holiday period. 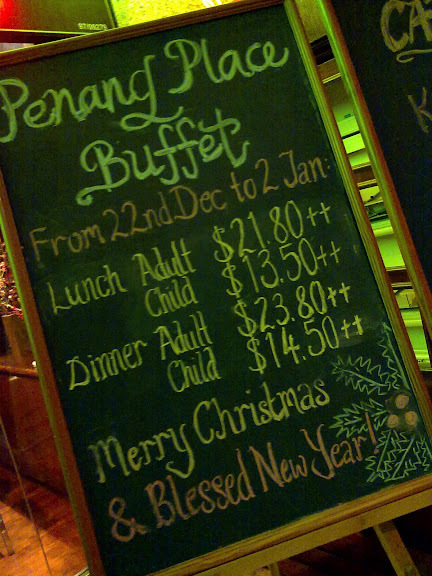 Otherwise the buffet goes at $19.80++ (lunch) and $21.80++ (dinner) on weekdays, and $21.80++ (lunch) and $23.80++ (dinner) on Saturdays, Public Holiday Eve Nights and on Public Holidays. Closed on Sundays. 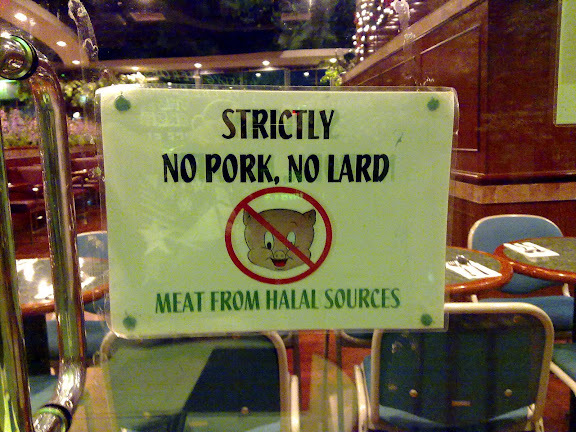 Penang Place claims not to serve any pork or lard, and that its meats are from Halal sources. 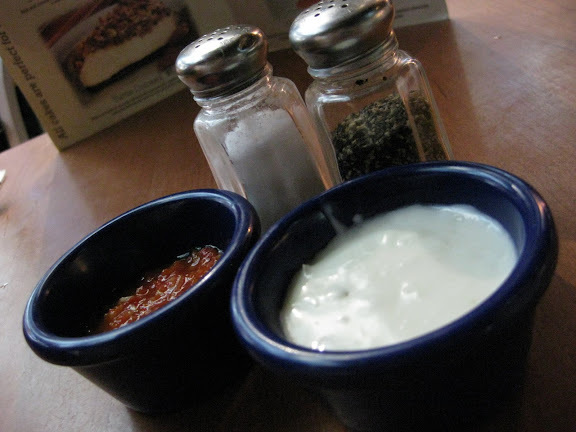 * All other pictures are taken by me with my Canon Ixus 80 IS and Nokia N85. Me and Daphne were headed to the Singapore Science Centre to relive our childhood memories (haha) and also because we're running out of places to entertain and amuse ourselves in Singapore. 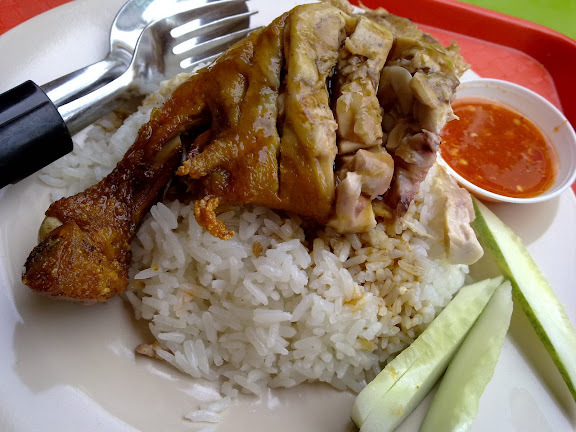 Since the Science Centre is within walking distance from the Jurong East MRT Interchange, I had the chance to eat one of my favourite Malay chicken rice for lunch. 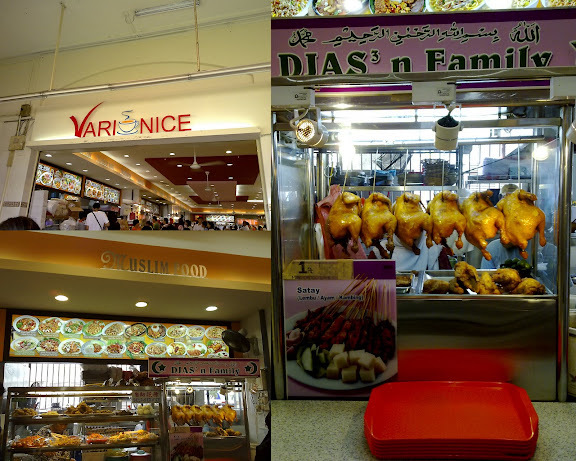 I like the Malay-type chicken rice for its fragrant and flavourful rice, and this stall does it pretty well. The chicken is also marinated nicely, making this dish a simple but satisfying one. 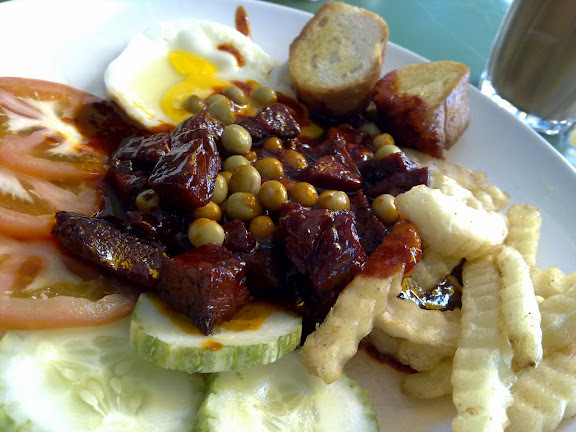 Add in a bergedil (fried potato ball) like I always do! Near the Jurong Regional Library, Jurong East. 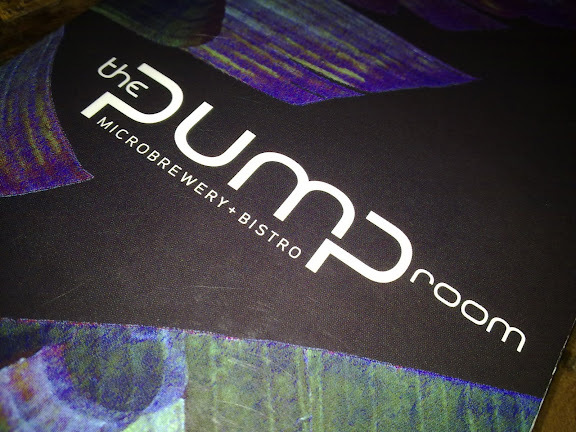 The Pump Room was packed on Christmas Eve, so me and Daphne decided to sit outside, enjoy our drinks and enjoy each other's company (not to mention watching the crowd and revellers as well). There's no cover charge if you're seated on the outside, and I have to admit the air's much better too haha. 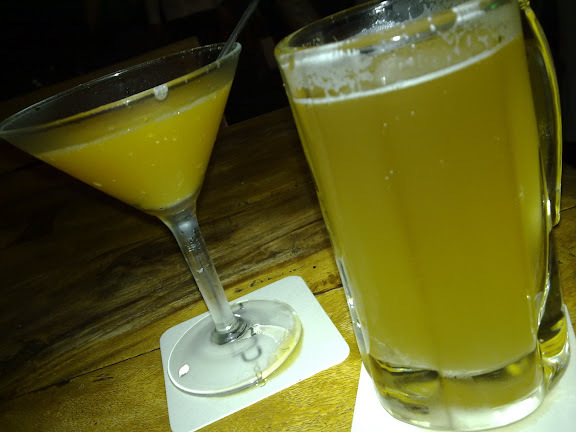 Great place to hang out with friends or just a cosy night with your loved one. Daphne found her nutty mango alright I guess, nothing to shout about. I liked my beer though, it wasn't too strong nor too bitter, which works great for me because I don't drink a lot. It's refreshing yes, not something for those who prefer something harder of course, but otherwise perfect for those who don't fancy beers that much. 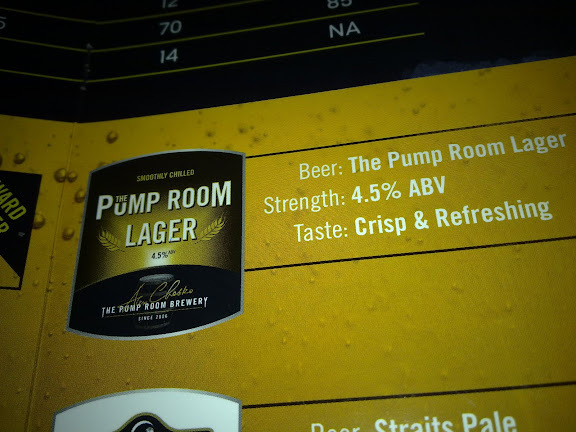 I drank this because I was curious how their in-house brew would taste like, and luckily it turned out to be good. * The usual 7% GST and 10% service charge applies. 12 Noon to 3am - Monday to Thursday. 11.30am to 3am - Sundays. 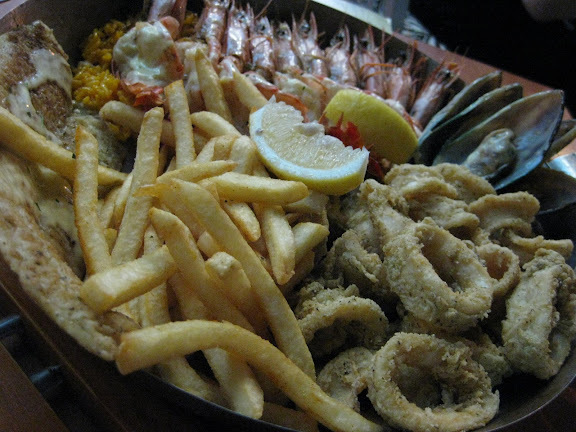 The best seller at Fish & Co. has to be its platter for two. Perfect for couples or for trios of (weight-watching) ladies. We requested for fried calamari instead of the usual grilled ones because the Daphne doesn't like them too chewy (or "rubbery" as she tried to explain it). These were not too bad, and the fish was very fresh too. Loved the prawns, quite a generous portion, though the baked mussels was ordinary and nothing to shout about. The rice wasn't too dry, adequately moist, while the fries were nicely crisp. Add in the chilli and tartar for more flavour! Very very good. Polite and attentive even when it was packed. Santa had to take a rest on his sled because he was drunk on Bailey's. My mother loves to bake cakes, cookies and tarts (amongst many others), and I was thinking that it's high time I include her yummy works in this blog. Besides, some of my favourite food bloggers like Pearl and Mengni seem to have a special talent in baking the most delicious looking of things (droooool), and I thought I'd add in some recipes here too. So stay tuned to this blog for more recipe posts soon ya! 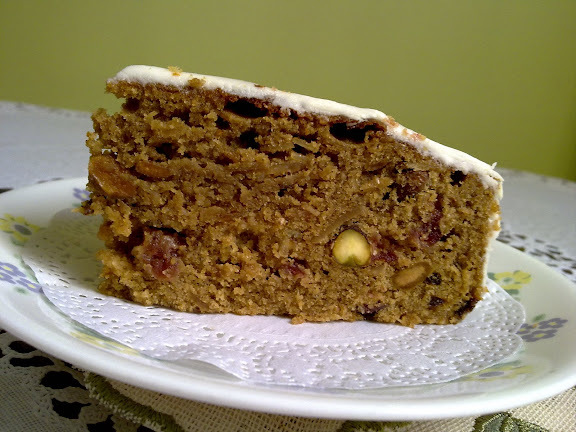 As much as most of her baking goodies are self-created and innovated, the recipe for this fruit cake though is taken from the Mind Your Body section of The Straits Times (27 November 2008, p.23). Still, it's something worth sharing since the cake has received much praise from friends and relatives. I have to admit, I myself am not too much a fan of fruit cakes, but I liked it because of the brief hint of Bailey's hehe. 1. Leave the prunes and cranberries to marinate in the liquor overnight. 2. In a large mixing bowl, beat butter, brown sugar and treacle till creamy. 3. Add eggs one at a time, followed by flour and baking powder and mix well. Add the dried fruits and nuts. 4. Pour the mixture into a greased 8-inch round cake tin. Bake for one hour at 160 to 170 deg C.
5. To make glace icing, sieve icing sugar into mixing bowl. Whisk egg white and add to sugar, then whisk mixture till creamy. Add 2 to 3 drops of lemon juice and mix well. 6. 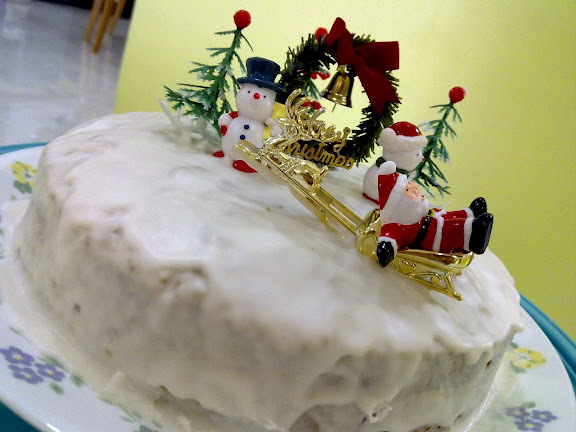 Cool cake in tin then turn out on rack and cover with glace icing. Decorate as you please. After trying the coin pratas at Al-Azhar, I thought it was only right to give Al Ameen a try and see if it could do any better. And yes, it did fare better than Al-Azhar, having the right amount of crispiness and at the same time still retaining the thickness of the dough (that makes it different from the usual, thinner pratas). Could be better if it tasted a little less salty, probably from using too much butter or ghee. 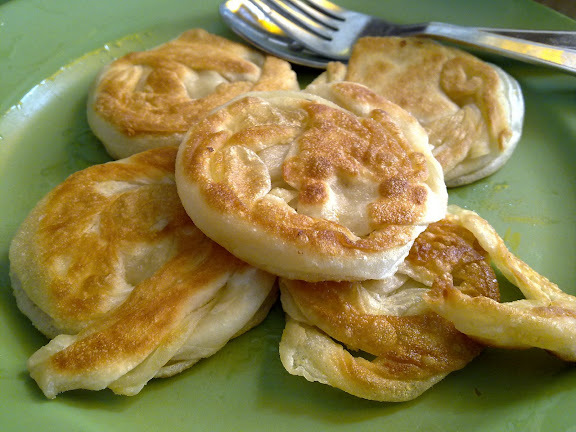 And oh, these coin pratas are not listed in the menus, but they do sell it anyway. So don't be too surprised if you can't seem to find it there heh. 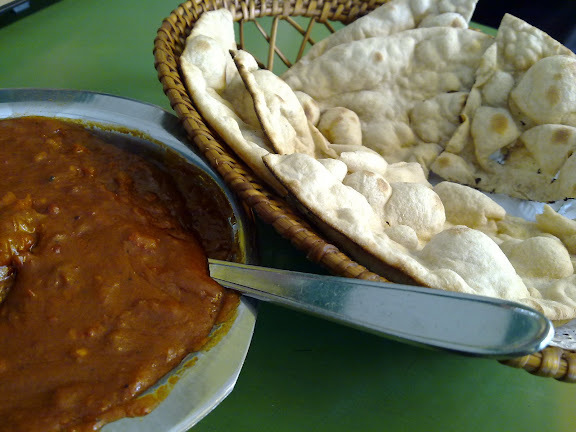 This came together with the coin prata (you can choose to order just the pratas). The chicken was not too bad, but the curry was just too thick for my liking. 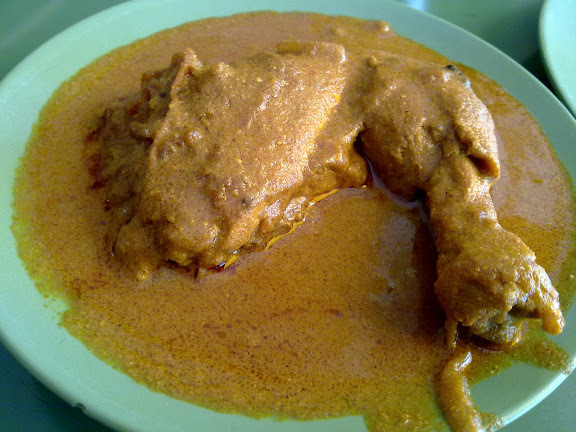 My father ordered this, which is really the "Indian"-version of the otherwise Western grilled lamb chop. He said it was alright. My little sister had this, found it okay as well even if it was a bit too spicy for her. 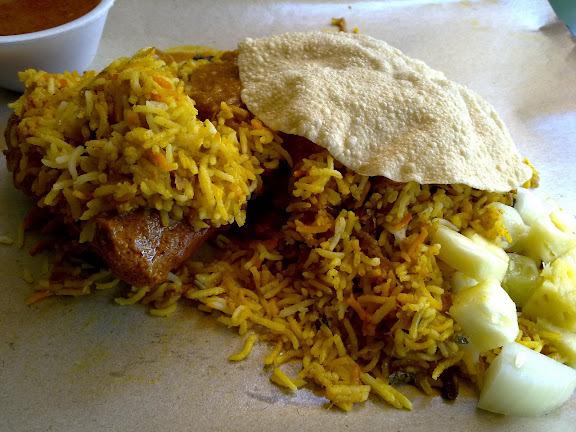 She was hissing her way through her lunch because the spicy curry was mixed with the rice. My parents shared this between themselves. 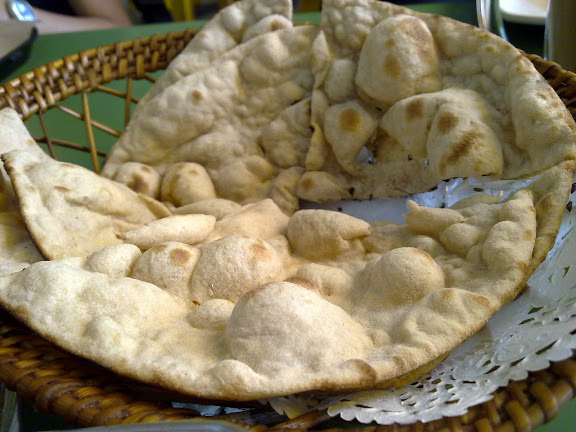 When the chapatis (thin, flat Indian bread) first arrived, my father was puzzled because it really did look more like naan (another flat bread resembling pita bread) than chapati, though the waiter insisted it was chapatis indeed. My mother did manage to detect a slight difference from the taste, but I could tell my father wasn't all too convinced haha. The keema (minced meat curry) was quite good, would have been much better if it was served hot though. Friendly on quiet periods, but put in a crowd and it can be so difficult trying to get their attention. Orders can get mixed up too on really packed nights. Just be patient and relax. Around $3 if it's just the coin pratas. Cheong Chin Nam Road, Bukit Timah. I've always wanted to try the cream coronet after reading it on so many blogs, and even with a pretty full tummy, just looking at it made me want to buy it. And so I did! 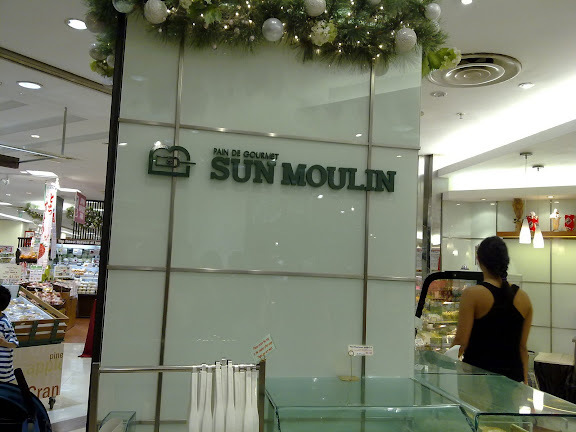 Sun Moulin is located just outside the Isetan basement supermarket at Shaw House, and is pretty popular with youths and adults alike. 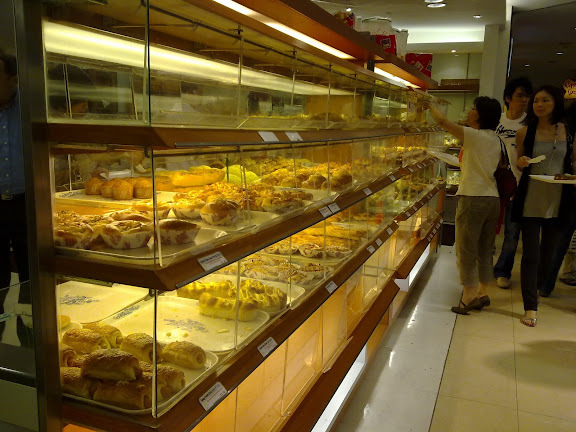 They really have quite a range of breads and pastries here, and they aren't pricey at all, quite like the prices you would find at the more common bakeries like Breadtalk and Four Leaves. They also have a small section for "mini" breads and pastries, going at $0.65 for one, $1.80 for three, and $2.70 for five. I wanted to try both the custard and the chocolate coronet, but the latter was nowhere in sight so I had to settle for just the custard one. 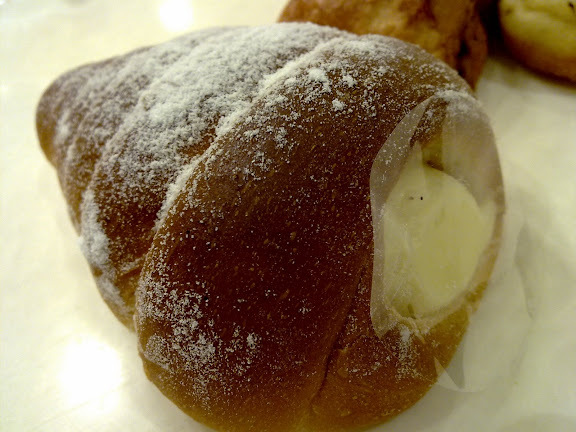 It turned out to be very good, so filled with custard just like the the cream puffs at Beard Papa. This is so different from a promotional Christmas bread that I bought at Breadtalk previously (which is about the same thing but only shaped as a Christmas tree) that only had a quarter-full of custard filling. So thumbs up to this custard coronet from Sun Moulin. And oh, they're smart enough to put a plastic piece to prevent the cream from smearing on your plastic bag, which I think is a good move. 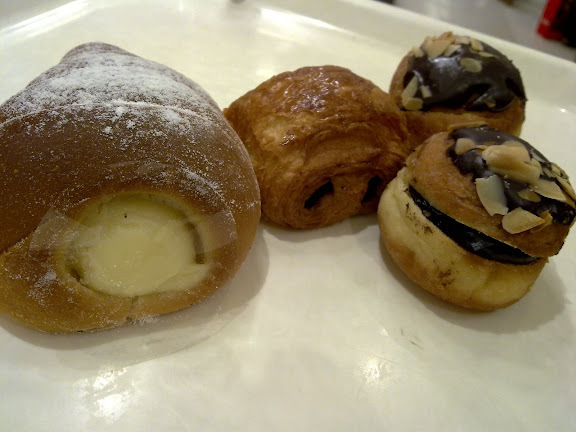 I bought two Petit Choco doughnut-like pastries, and one mini chocolate croissant. The doughnut-like ones are better because they're softer, smoother and went better with the chocolate filling. The croissant wasn't all too bad, it's just a relative preference. $1.80 for 3 mini pastries. The both of us were thinking of something oriental, something Chinese, for dinner and I suggested Dai Ka Jie at Heeren because I had a cut-out coupon from The Sunday Times (check the Lifestyle section every Sunday for the "Yummy Treats" page) that gave us a 30% discount on their roast duck. Miss Funshine Bear joined us for dinner as well, though she was contented with just smiling and watching us enjoy our food. 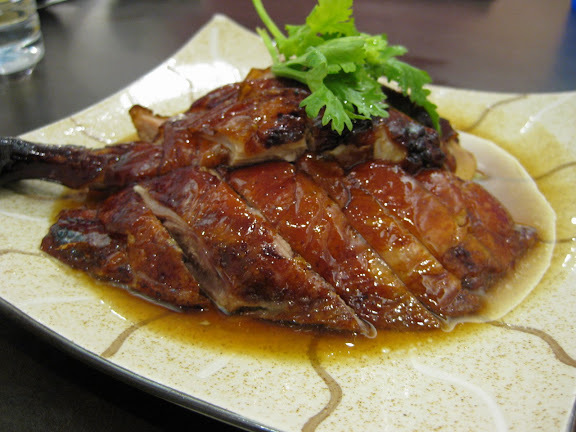 For slightly over $8 (after the 30% discount), this duck turned out to be very satisfying indeed. It was very well roasted and there was little fats to bother us. The sauce poured on it was very good too, and we kept soaking our duck slices with it. A couple of parts closest to the bones were quite tough, but overall this went down well with us. I read about this fried rice on other blogs, and the people liked the Chinese sausages cooked with it. This time round though, I asked for the sausages to be removed and the cook was okay with it, giving me instead many more prawns. 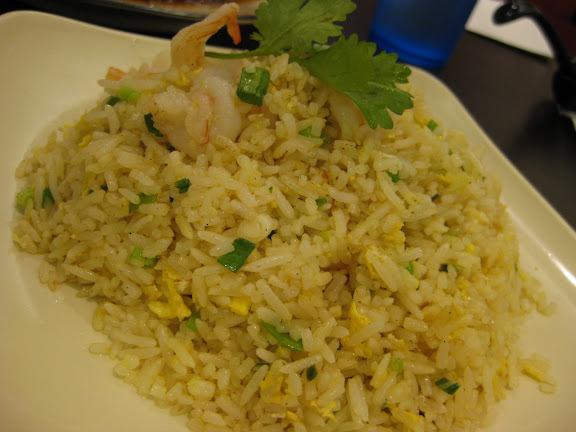 On taste, it's a typical fried rice, fragrant with just the right amount of salt and pepper. 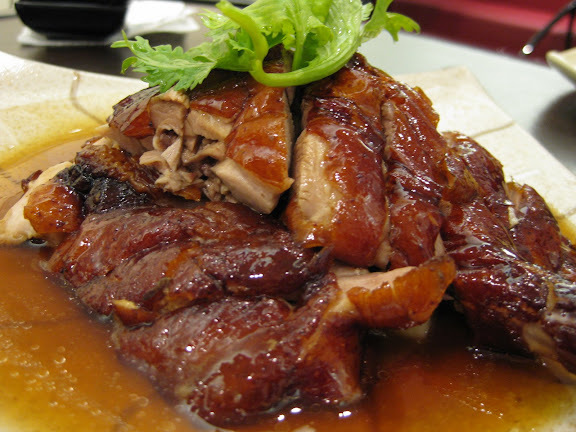 I liked it, especially when eaten with the roast duck. Yums. The girlfriend liked her noodles, she said it was "springy" enough, the gravy was fine, and the spice rolls were crisp and tasty. Very good. You know sometimes I complain about the state of service that some foreign Chinese staff give me, but here at Dai Ka Jie I have no complaints at all. 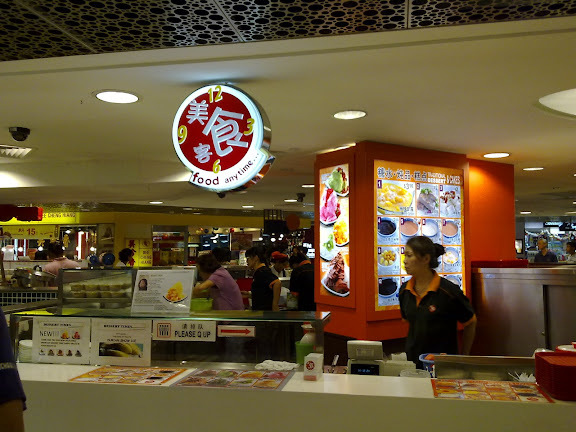 The staff, and really this is a marker of patience, bent down and listened patiently to my terrible Mandarin, understood the orders and politely excused herself to check if my special requests could be made. She had this tomboyish haircut, if you happen to be there. Our glasses of iced water were also constantly refilled. 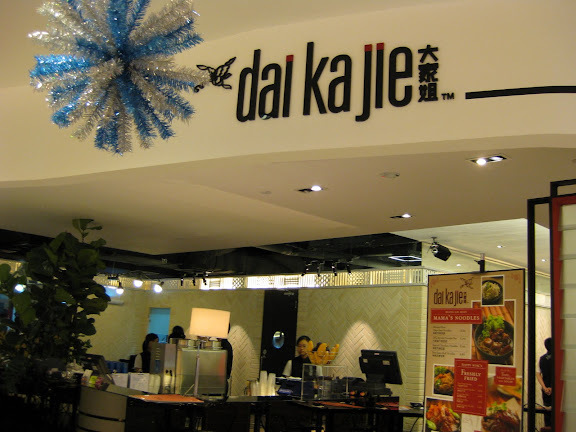 *The usual GST (7%) and service charge (10%) applies. 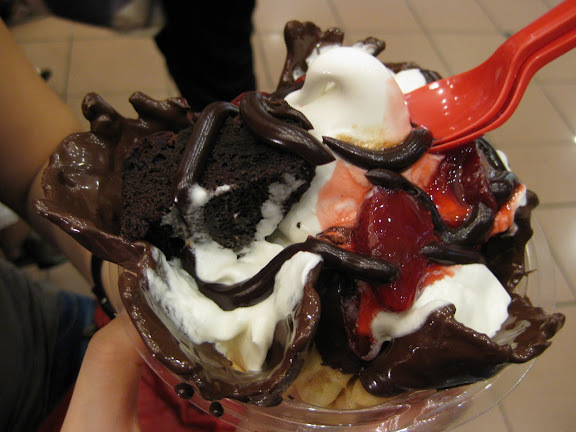 I like the plain or chocolate dipped cones at Dairy Queen ($0.90 for a plain one), but I also tend to forget about it when I'm walking around Ngee Ann City. It has a slightly more milky taste as compared to MacDonald's ice-cream cone, which I prefer. 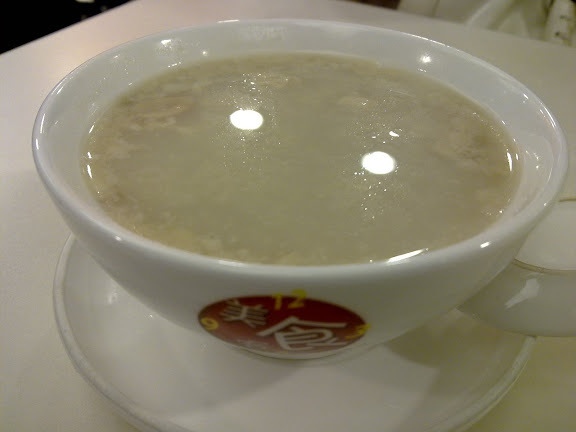 $3.60 (usual price $5.60) but I have little idea how long this promotion will last. Also: Outside Orchard Liat Towers. 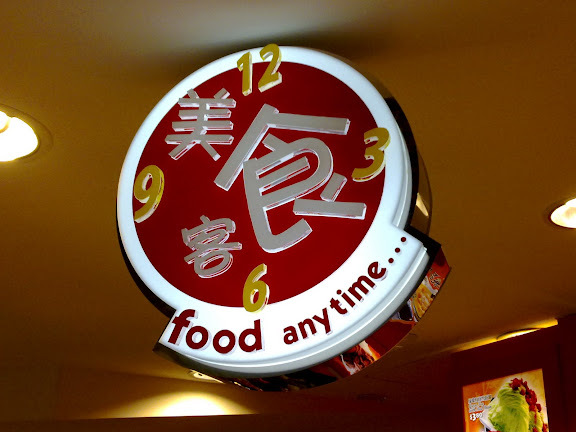 Located at the basement of Bishan Junction 8 is this range of small eateries that includes "Food, Anytime" (at least, that's what I make out the shop name to be), which specialises in Chinese desserts and snacks like tang yuan and chee cheong fun. They have also added flavoured "ice shavings" to their menu since the last time I visited them, as you can see from the shop's small side poster at the back. 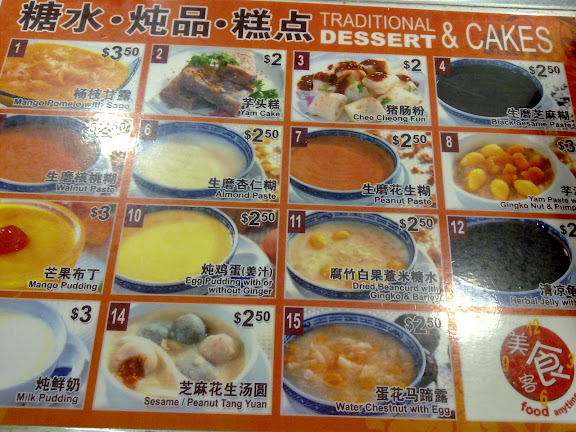 And there's the menu (not including the ice shavings) for you if you're interested. You can click it for a clearer view of what this stall has to offer. Oh my, what has happened to the tang yuan here? It used to be very good, and it used to be of a larger portion too. "Tang yuan" is kinda like glutinous rice balls that have fillings such as red bean, sesame paste and peanut paste, though this shop only sells the latter two. 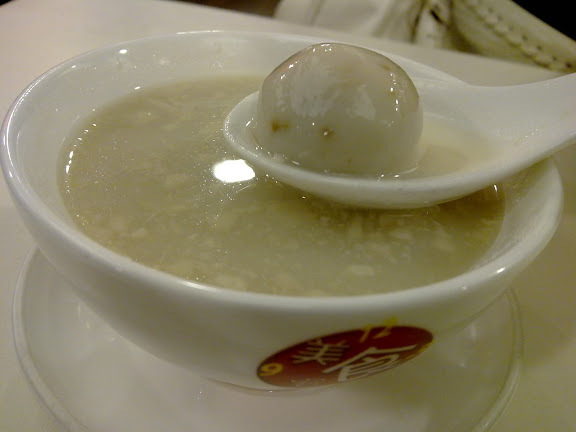 The tang yuan here has shrunk in size, has much less filling, was served lukewarm (almost too cool in fact), and wasn't chewy but just, not very tasteful. Explains why you need to have a smaller bowl too. Bishan Junction 8 Basement One. Ben & Jerry's Chunk Fest This Saturday!